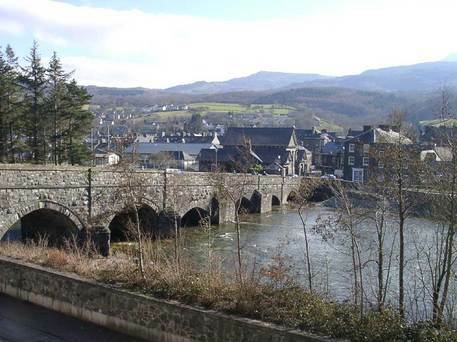 Dolgellau, an attractive market town (pop. 3,000) at the foot of Cader Idris in Snowdonia, has a lively cultural life, especially in the winter months. Dolgellau Music Club has come to play an increasingly important part in this, and for many people the annual series of subscription concerts is one of the resources they most look forward to as the nights draw in. ​The Club's remit is to present concerts of high quality and varied content, mostly classical, but with some folk/jazz/ethnic elements. It also arranges workshops in conjunction with some of the concerts, in the main for young people but with opportunities for adults as well. In addition a talk is given each year highlighting repertoire from one particular concert. All these activities serve to enhance the musical enjoyment and understanding of the community. Performers engaged are all of professional status and calibre, many with international reputations - pianists John Lenehan, Allan Schiller and Angela Brownridge spring to mind. Some are at the beginning of their careers, and go on to achieve a high profile not long after playing for the Club. A notable example of the latter is the Belcea Quartet, who played in Dolgellau in February 1999 (including a rivetting performance of Bartok's 3rd String Quartet), and are already now one of the most sought-after quartets in Britain. We hope you will find this site interesting and helpful, whether you have a professional reason for scrolling through it as performer, promoter or agent, or whether you are simply a music lover and potential visitor to the area looking for something that appeals to you. Copyright © 2016 Clwb Cerdd Dolgellau Music Club.